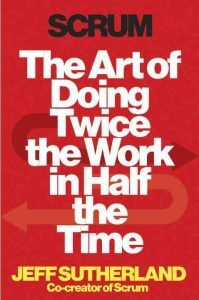 Have you read Scrum: The Art of Doing Twice the Work in Half the Time by Jeff Sutherland. It describes how the FBI was able to deliver a backlog of work with new thinking. Agile software development describes a set of principles for software development under which requirements and solutions evolve through the collaborative effort of self-organizing cross-functional teams. It advocates adaptive planning, evolutionary development, early delivery, and continuous improvement, and it encourages rapid and flexible response to change. These principles support the definition and continuing evolution of many software development methods.